Need yet another reason to choose whey protein over soy when trying to preserve and build lean muscle mass? A new study (1) from McMaster University in Canada found that, when compared to whey protein, ingesting soy protein after a workout or at rest does about as much as plain water for MPS [muscle protein synthesis]. The study randomized 30 elderly men into three treatment groups to test the effects of ingesting zero grams of protein, 20 grams of soy protein, or 40 grams of soy protein at rest and after a bout of resistance exercise. These effects were then compared to previous responses in similar aged men who had ingested 20 grams or 40 grams of whey protein at rest and after resistance exercise. Results showed that rates of muscle protein synthesis for ingesting 20 grams of soy protein were no different than ingesting 0 grams of protein. The higher dose of soy protein, 40 grams, only modestly increased rates of muscle protein synthesis after exercise in comparison to people who consumed no protein. In contrast, previous data from the study authors showed that consuming whey protein at rest and after exercise has shown to induce muscle protein synthesis whether in a dose of 20 or 40 grams, with the larger dose having a greater effect. “We report that soy protein isolate is relatively ineffective in its capacity to stimulate MPS [muscle protein synthesis] in the elderly when compared to whey protein,” wrote the researchers. Any and all aging adults who are looking to avoid sarcopenia, the wasting of muscle starting at around ago 40, should be aware of this as protein source and dose are showing more and more to be critical in avoiding age-related muscle loss. Whey protein is not just for older adults looking to preserve their muscles. Whey protein has shown to be superior to soy in increasing muscle protein synthesis after exercise in young adults too (2). Even though both whey and soy proteins are considered high-quality proteins based on the digestibility of their amino acids, and both are considered ‘fast’ proteins because they cause a rapid increase in amino acids available to be utilized by muscles, the actual digestion and muscle-building potential of whey and soy protein are quite different. For one, whey protein has a higher percentage of the amino acid leucine, which has shown to be the “master” amino acid for the synthesis of muscle. 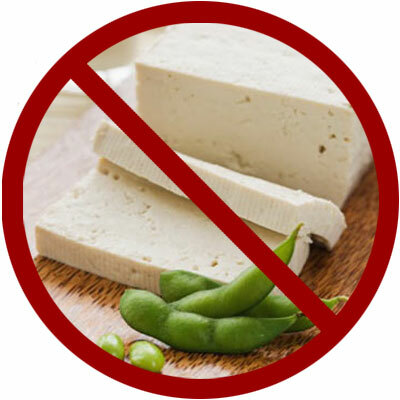 What’s more, the current study found that a greater proportion of soy’s amino acids—including leucine—are diverted towards oxidation, making them unavailable for muscle synthesis. 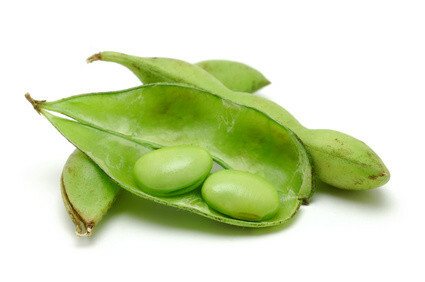 This goes along with the findings of prior studies (3,4) that revealed the amino acids contained in soy protein are metabolized in the body by gut proteins. The amino acids in whey protein, on the other hand, are partitioned for use by skeletal muscle tissue—leading to greater rates of muscle synthesis. 3. Bos C, Metges CC, Gaudichon C et al. Postprandial kinetics of dietary amino acids are the main determinant of their metabolism after soy or milk protein ingestion in humans. J Nutr 2003;133:1308-15.